We offer an innovative service of sealing and stabilizing track substrate made of crushed stone by applying cutting-edge technology based on setting resin. 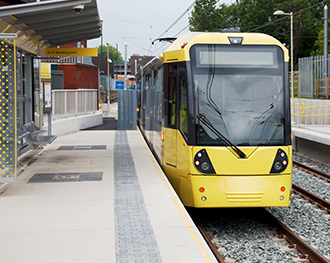 This method involves securing not only transition zones and critical crossings with tracks, but also the whole track ballast along the course of railway or tram track. The use of railway track results in unwanted displacement or settlement of rubble. Most frequently it refers to areas in transition zone, between embankment made of rubble and moorum, e.g. in front of bridges and overpasses, at the intersections of railway with roads and pedestrian railway crossings, at turnouts, scissors crossovers and heavily loaded railway curves. 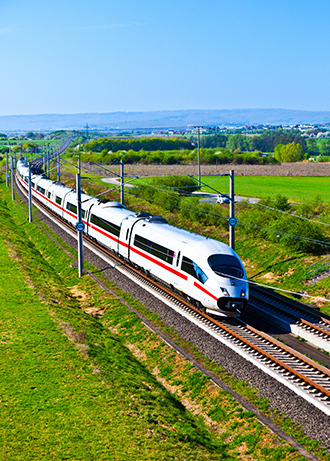 Railway traffic requires maintaining continuity, therefore for construction, maintenance and repair of track ballast we suggest reliable and effective technology of bonding with a bonding resin. The product triples stability of the ballast. Special resin is sprayed on the ballast, on the rubble and down. This results in bonding of the stones in the contact zone between them. After a few hours track bed becomes more stable as well as more elastic, thus absorbing the traffic. Loose stones are bound only pointwise, which allows for penetration of water between them, avoiding interference with the structure and shape of the embankment. This cutting-edge technology has earned appreciation among numerous investors, who value highly savings in time and money. Effectiveness of this solution has been proven by multiple applications abroad and positive results of load tests. Bonding of track ballast in critical point of the joint between rigid material and elastic subgrade (bridges, tunnels, crossings etc.). Technology allows for reduction of dynamic power at the moment of passage through transition zone. Due to centrifugal force, during traffic on the rail, loading on curves is heavier than for other elements. The service of stabilizing track ballast with resin allows for durable protection of sleepers and ballast, which are prone to displacement. Stabilization of crushed stone near turnouts and scissors crossovers as well as track joints will effectively secure ballast against displacement and reduce maintenance cost. 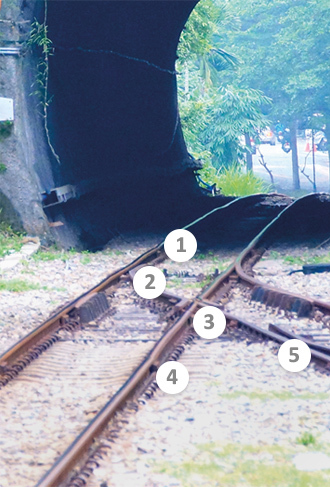 The technology ensures stabilization of the ballast exposed to settlement due to renovation or repair of neighbouring track. And this without interrupting rail traffic. Local loosening of the ballast can be eliminated quickly and easily by stabilization of track ballast with setting resin. This service will enhance durability of the structure.